We leave Winter behind and step into Spring but sadly even though the temperatures have gone up the weather does not really seam to be reflecting this yet. So with the dreary weather hanging over us I still have penchant for comfort food. So what dish can honestly provide me with all these thoughts and emotions on a plate? PIE! Pie, yes, pie. This can be savoury or sweet, filled, cobbler-style or two crust. By crust I not only mean pastry but anything that can be used to encase the filling, such as oats, potato slices or mash. So which crust will ultimately provide the ultimate comfort? Mashed potato does it for me. 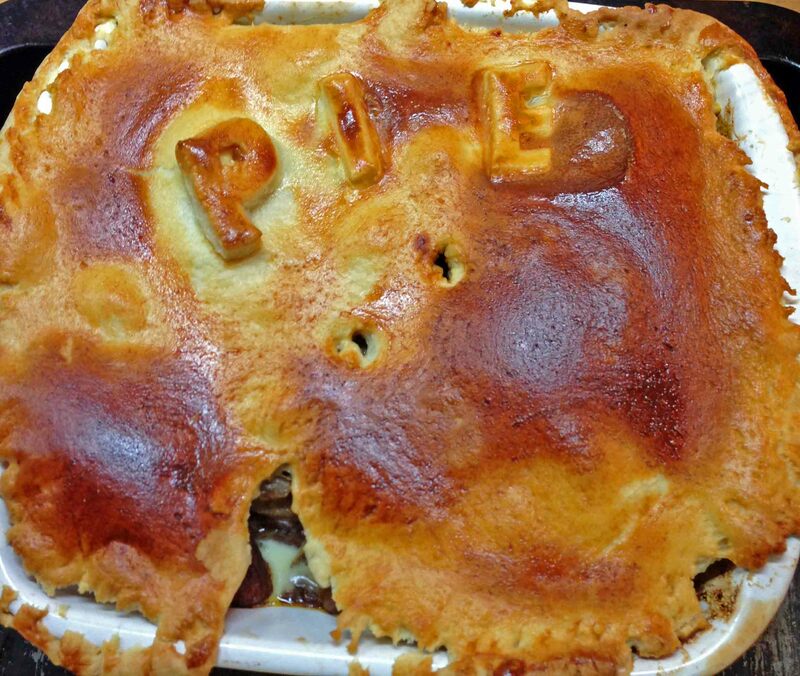 In the Recipes section of my blog can be found my delicious Steak and Ale Pie. So what other pies can be delicious topped with mash? 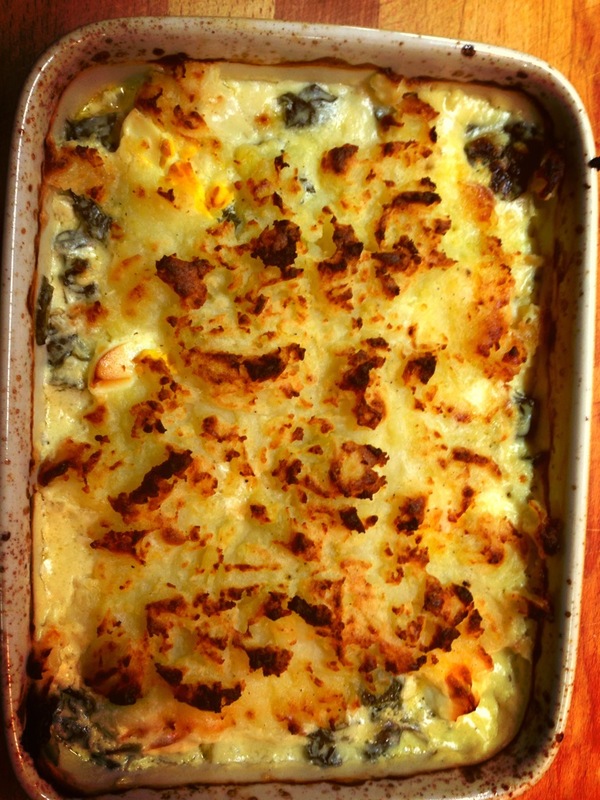 One of my easy to make pies is a simple fish pie. First of all – this does not need expensive cuts of fish, just make sure there are no bones. Supermarkets now stock trays with different fish cuts specifically made for fish pies. Also check your local fishmongers as they may have special offers too. 1st: Preheat the oven to 230°C. Peel and boil 5 large potatoes. Boil for 10mins. Add 2 eggs and boil for 8mins. 2nd: Drain the potatoes and set aside. Peel the eggs under cold running water. Set aside. 3rd: Wilt 200g of spinach by rinsing the spinach and adding these moist leaves to a hot pan. Once the spinach has wilted drain and squeeze out any excess water. Set aside. 4th: In a saucepan, sauté a medium onion and add a small pot (254ml) of double cream. If you want to use a large pot of double cream or half double half single feel free to. Bring the cream to the boil. 5th: Remove from the heat and add 200g of Cheddar cheese, the juice of a lemon and a teaspoon of mustard. 6th: Add approximately 500g of different fish cuts to your pie dish (if making individual pies then share this out equally) I tend to use salmon fillet, cod fillet and prawns. 7th: Spread the spinach equally throughout the dish. Pour the cream sauce over. Sprinkle with parsley. Quarter the boiled eggs and add to the dish. 8th: Mash the potatoes with olive oil, salt and pepper and a rasp of nutmeg. Try to cover the creamy fish base. Don’t be too neat and if it does not cover everything better as this will provide areas for the sauce to bubble through the mash! (Optional extra: beat an egg and wash the top of the mash for a crispy finish). 9th: Place in the oven for 25-30 mins until the potatoes are golden.